In my internet travels to various woo-woo sites, I keep coming across discussion of "relationship," meaning not only close romantic partnerships, but a more expanded view that includes how we relate to everyone and everything we come into contact with. Think about it. We actually do have relationship with everything, and though it may be only momentary, it still matters. I'm particularly focused on my relationship with steel baling wire. It's a delightful infatuation. But I also have to remember to tend to my relationship with my saw, my cutter, my pliers, my hands, my computer, my wood stove, my breakfast, my husband, and so much more, because all of these things are important to the currently spotlighted relationship with the wire. Simple things can start to seem really complicated, but really, all it takes is a bit of noticing, of paying attention to each thing individually. It's like making a cake. Each ingredient goes into the bowl, thoughtfully, purposefully, just the right amount. Then you mix it all up into a lovely batter, pop it in the oven, and soon your house smells like heaven, because the relationship between all of the cake ingredients has been lovingly tended to. Life is a Cake, my friends. We each bake our own, but the nicest part is that we get to share them. My current cake is made mostly of steel and sparkly things, but I have to remind myself to include all the other ingredients too. Each one is important to the bigger relationship, and to the finished Cake. Right now, my cake is a batter of my children and their growth and experiences. Once in a while, I get to sneak in a bead or two. 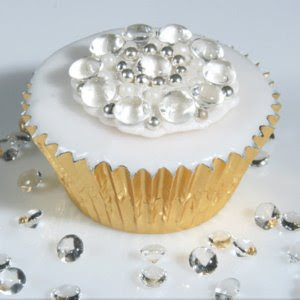 Every cake needs some sparkle to really cook lol! Some days I feel like I need a new recipe! is Art is the Icing ? Glad that you are having such fun with the wire, however gritty it might be before being a part of the great sparkly. And it's wonderful that you are learning so much from working with the wire. And about that cake. Guess yesterday I missed the real cake part, but I made tamales that tasted as good as I can remember buying them. Yes, took quite a bit of time but my feeling of success made it that much the better.